Pleasanton, CA — October 3, 2018 — NextHome is proud to welcome eight new franchised locations announced in the month of September 2018, including office #300 for the franchise. Heidi Powell opened the doors to NextHome Dynamic in Freeport, Pennsylvania. With a productive office of eight talented team members, NextHome Dynamic is poised to be a force in the Pennsylvania market. The announcement of this office was the 300th office launched for the NextHome franchise. After years of building a brokerage as a top recruiter in Nashville, Tennessee, Annette Stithem opened her own brokerage – NextHome New Beginnings. With more than 20 years in the real estate industry, Annette is an exceptional leader who will make her mark in the Nashville real estate market. Thomas Shumpert opened the doors to his fourth NextHome franchised office – NextHome Specialists (Mount Pleasant Branch). Thomas will add this location to his other three South Carolina NextHome office locations in Columbia, Chapin, and Lexington. Dennis Findly and his daughter, Karah Sullivan, opened their second NextHome location in Southern California. NextHome Findly Estates in Murrieta, CA became the newest addition to the NextHome franchise. This new location will be managed by Karah, while Dennis will lead the office in Corona, CA. Business partners Frank Vizcarra and Jacob Solis opened NextHome Liberty in Victorville, California. Based in San Bernardino County, these two top-producing REALTORS® have partnered to create a dynamic new brokerage in Southern California. NextHome Beach Time Realty launched their second NextHome office, this time in Redington Beach, Florida. Broker/owner Annie Fleeting brings her unique and fresh real estate concept to Treasure Island, Madeira Beach and surrounding communities. 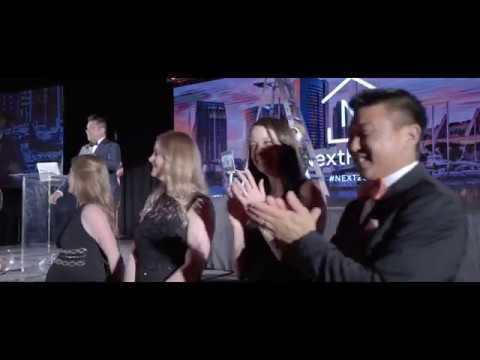 Second generation REALTOR® Teresa Saraco Cole opened her brokerage – NextHome All American. With this office opening, Teresa and over 20 associates will bring the NextHome brand to the city of DeBary, Florida for the first time ever. Finally, September ended with another strong Tennessee-based office opening. Kerri and Gordon Woodson opened NextHome Moves in Clarksville, TN. With Kerri’s top-producing sales business and Gordon’s new construction inventory, NextHome Moves is the newest player in the Tennessee real estate market. The NextHome franchise is proud to announce 73 new offices opened since the beginning of 2018. Pleasanton, CA — July 16, 2018 — NextHome is proud to announce our newest addition to the franchise, NextHome Premier Neighborhood Realty. The brokerage represents the 41st location opened in the state of Florida for the NextHome franchise. Based out of St. Cloud, NextHome Premier Neighborhood Realty will provide real estate services to buyers and sellers such as single-family residential sales, first-time home buyers, investment, multi-family properties, land deals, condominiums, and new construction homes for the areas of St. Cloud, Kissimmee, Davenport, Clermont, and the remainder of the Orlando Metro Area. A suburb 30 miles south of Orlando, St. Cloud is home to approximately 40,000 residents and is one of the larger communities in the Orlando-Kissimmee-Sanford metropolitan area. Please join us in congratulating Jon and the rest of the team at NextHome Premier Neighborhood Realty on the opening of their new NextHome office in St. Cloud, FL!